VATICAN CITY (CNS) — While recent terror attacks in Germany and Afghanistan bring sorrow and death to the world, they are also a reminder for Christians to pray fervently for peace, Pope Francis said. 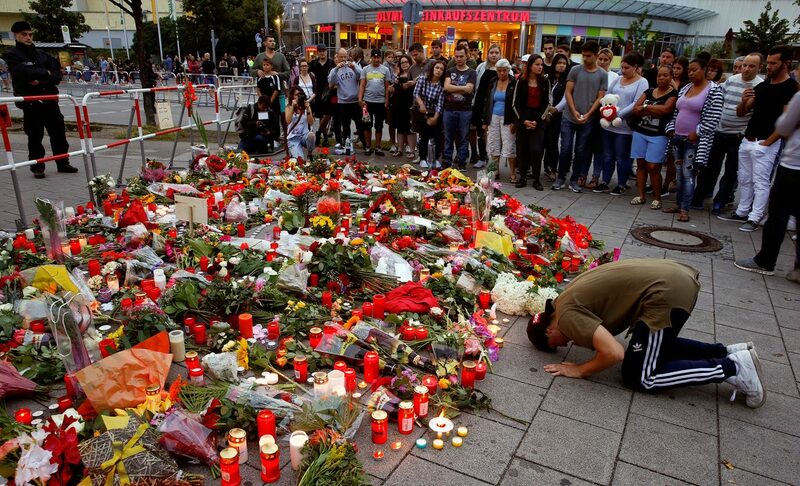 Tragedy struck Munich July 22 when 18-year-old gunman David Ali Sonboly shot and killed 9 people and wounded 35 others before killing himself during a shooting spree at a shopping center. Investigators said that they could find no clear motive and no known links to terror organizations. “Our resolve turns toward an unwavering desire to be witnesses of love alive in the world. Against this resolve the forces of hatred and division cannot prevail. Let us draw strength from the courage of the victims and first responders in Munich so that we may continue down the path of peace, rejecting violence and that which seeks to divide us,” he said. The same day, a suicide bomber killed 21 people and wounded at least 35 others in an attack in a neighborhood of Baghdad. The Islamic State group also claimed responsibility for that attack.